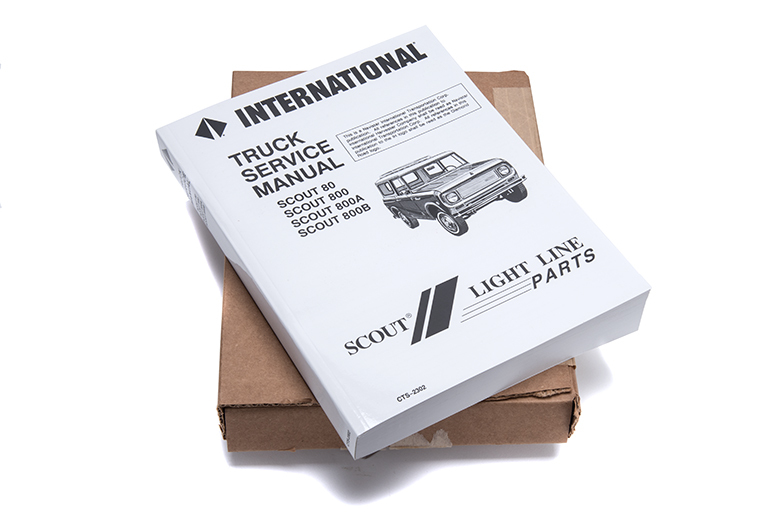 This is a factory-authorized reprint of the CTS-2302 service manual for all Scout 80 and 800 trucks. This is not anything like a Chilton's or a Haynes manual, but is a 400 page factory technical service manual with complete instructions and illustrations to guide you in your work. This does not have parts diagrams. This is meant to be used in tandem with the MT-113 parts manual (for Scout 80, see SP12570), or the MT-123 parts manual (for Scout 800, see SP13555).